Here is the house you&apos;ve been waiting for! 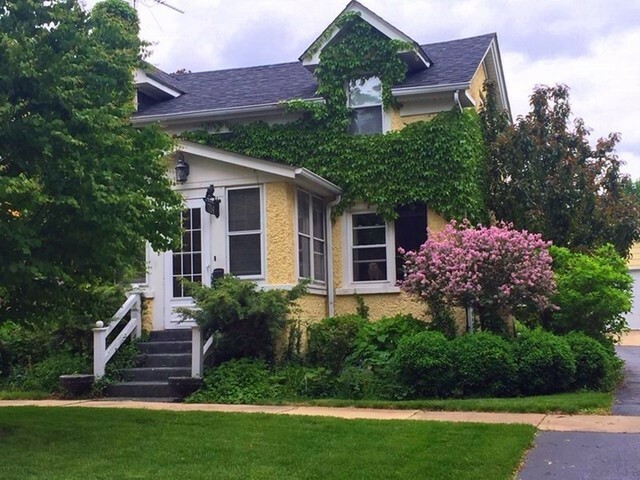 Charming English Cottage in downtown St. Charles. This home feels like Old England inside and out. Features include original hardwood floors from 1888 throughout, exposed beamed ceilings in the warm living room, cozy dining room nook with built-in benches, wood shutters and charm galore! The English Gardens were professionally installed by Scentimental Gardens of Geneva, and will soon be bursting into bloom. Fenced yard with patio and over sized two car garage. Full basement is bone dry per sellers and could easily be converted into additional finished living space. All mechanicals have been replaced: windows, roof, furnace and c/a, hot water heater, and garage door. This is a "one-of-a-kind" home, it&apos;s absolutely adorable. This is a must see! !